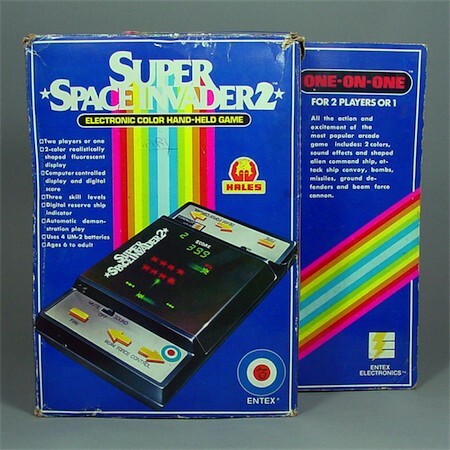 Entex made two versions of this game: This one from 1981 (#6024) has a similar shape as Defender, also with 2 battery covers. 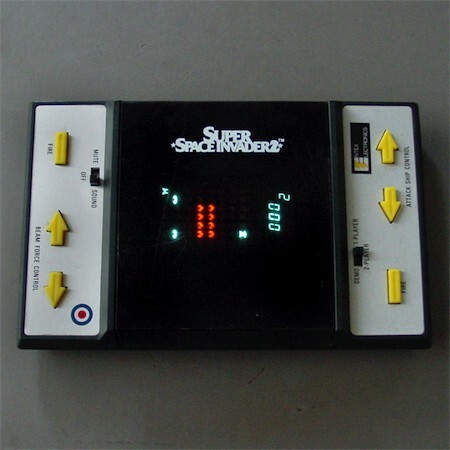 The other version is from 1982.Gameplay and displays are identical. The first logo is in classic ENTEX style. Later it's more like the Defender logo.